The NAFTA 2.0 negotiators are dealing with trade remedies this week. These disciplines on trade are more commonly known as safeguards, anti-dumping and countervailing duties. The first shoe has dropped in the Boeing–Bombardier trade remedies saga focusing real-time attention on the trade remedies warriors and reinforcing the importance to Canada of maintaining access to judicial review under NAFTA Chapter 19. The U.S. Department of Commerce (DOC) has imposed a preliminary 219.63 percent countervailing duty on C‑series passenger jets which may be imported in the United States. Yes, this is absurd but not unusual – at least for imports from China. The duty would more than triple the price of a C‑Series jet. Boeing alleged 80 percent in its complaint and lobbied for higher uncooperative rate. They got an unbelievable windfall in their quest to eliminate Bombardier from the U.S. market. DOC adjusted the average useful life of aircraft manufacturing facilities from the 20 years claimed by Boeing to 10. This meant that certain subsidies would double – because of allocation over a shorter period of time. There is more grief coming. October 4 will bring a preliminary finding of dumping. Based on Boeing’s estimates, this will put the total duties over 300 percent. The duties cannot be maintained in force unless the U.S. International Trade Commission (USITC) finds that the subsidizing and dumping has caused or threatens injury to Boeing’s production of like aircraft. That should be a stretch. Boeing has an 8 year order backlog and its competing aircraft will not be ready until 2019. There is no way to predict the outcome of the USITC definitive injury inquiry. However, reading the reasons for the preliminary injury inquiry does not inspire confidence. 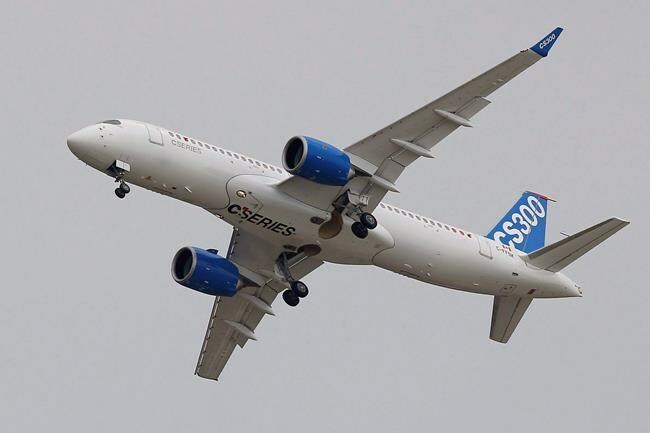 The Commission’s preliminary injury inquiry determined that the C‑Series posed a threat of injury to Boeing’s planned production in the size range similar to the C‑Series. Threat of injury must be clearly foreseen and imminent, and it cannot be based on allegation, conjecture or remote possibility. Too often it is. The obligations are vague – and ‘threat’ can too easily become a default judgement in difficult inquiries. Trade remedies investigations or World Trade Organization (WTO) challenges of subsidies involving aircraft industries, any aircraft industry, are very emotional. High level lobbying by Prime Minister Trudeau, Canadian Ministers and U.K. Prime Minister Theresa May did not deflect the pre-emptive attack by Boeing. In the U.S., the law is the law – and don’t expect any mercy or special treatment. Indeed, Commerce Secretary Wilbur Ross said in his announcement, “The U.S. values its relationships with Canada, but even our closest allies must play by the rules.” Don’t blame low-level officials. The decision has been blessed at the top. The lobbying will increase, it must, but Bombardier has become a victim of America First. Canada is prepared to cancel a Super Hornet fighter jet purchase worth $6 billion to Boeing. What else can be done? Canada is hampered by its adherence to WTO rules, and by not being big enough to be able to play the U.S. game. Prime Minister Theresa May is attaching top priority to protecting the more than 800 C‑Series jobs at Bombardier’s Short Brothers PLC plant in Belfast, Northern Ireland. U.S. support, too, has been ignored and will likely continue to be ignored. Congressional opposition from Senator Pat Roberts and a gaggle of others makes sense but the supporters are relatively few and, other than Senator Roberts, not A-listers. Delta Airlines, the potential importer, as well as Jet Blue, Sun Country and Spirit have argued against the imposition of the penalty duties. JetBlue claims the duties will benefit Brazil’s Embraer more than Boeing. There will be no immediate duty collections or deposits. Bombardier has not delivered any aircraft to its only U.S. customer, Delta Airlines. The earliest delivery will be the spring of 2018. Small comfort. 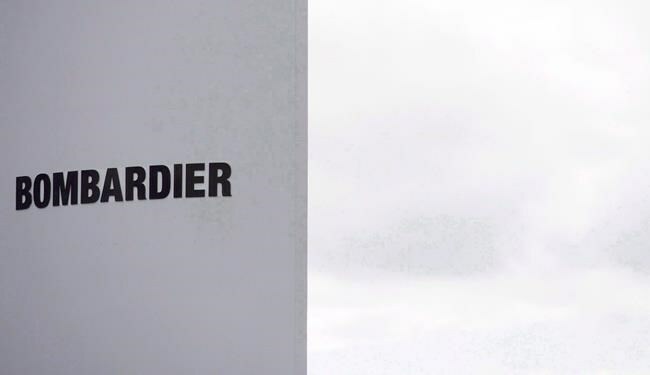 Bombardier can appeal the eventual final decisions, but not this preliminary decision. Only the final determinations can be appealed under either NAFTA, Chapter 19 or the WTO. This seems to be an attractive package – and Canadian Ministers have correctly argued that all aircraft manufacturers receive similar benefits. Launch support is quite normal. However, “Everybody else is doing it” is not a defence under WTO rules. It is quite common in countervailing duty investigations to argue that programs, investments and contributions are countervailable subsidies. And it is equally common for investigating authorities like DOC and the Canada Border Services Agency (CBSA) to deny the objections, no matter how carefully documented and argued. Bombardier’s Washington lawyers will be working overtime to improve its situation before the final determination. But pledges of additional financial support promised by the Governments of Canada and Quebec are risky. Bombardier has been dealt a serious blow. Governments want it to survive. However, additional support could increase the subsidy determination. But at 219.63 percent, does another 100 percent really matter? Maximum effort must be focussed on the USITC injury inquiry. Bombardier argues that Boeing’s order backlog and obscene profits negate any claims of injury. Canada and Quebec have claimed accurately that Boeing is also heavily subsidized. Unfortunately, clean hands are not required to file trade remedy cases. Nor is there a net subsidy rule which could offset Canadian (and U.K) subsidies with those received by Boeing. There are no good or logical trade remedy systems – all are bad, some are worse. to seek judicial review under NAFTA Chapter 19 (assuming it is still in force) to assess conformity of the findings with U.S. law. That law has changed recently – and not for the better. The new law applies. Canada will also be able to access dispute settlement at the WTO on every final determination in the Bombardier case. The WTO challenges will determine conformity of the decisions and investigation procedures with U.S. WTO obligations. WTO dispute settlement never provided speedy relief. It can take six years or more (for aircraft) – while duties and liabilities are building up. And it is even slower today. The DSU is overburdened and understaffed. And there is no line jumping for large disputes. The WTO Dispute Settlement system is under attack. Ambassador Lighthizer is currently holding up the Appellate Body appointment process because the U.S. considers the Appellate Body is making staffing decisions which should properly be made by members of the WTO Dispute Settlement Body. The Chair of the DSB sees merit in the U.S. concerns. So do I – but I do not agree with Ambassador Bob’s tactics. Delaying appointments to the Appellate Body will not cripple the WTO Dispute settlement system, yet, but it will slow it down even more. When Canadian Finance Minister Sir William Fielding introduced the world’s first anti-dumping law on June 7, 1904, it was meant to be a shield against unfair trade. Over the years, it has lost its way and has become increasingly an offensive weapon to eliminate competition. The NAFTA negotiations on trade remedies will focus on transparency and enforcement. The negotiations should be focusing on bringing trade remedy systems back to their original purpose – removing injury – and not on eliminating competition. Windfall protection, so common under trade remedy laws, should be eliminated. NAFTA 2.0 badly needs a public interest provision for its trade remedies regimes. Each Party’s authorities shall consider information provided in accordance with the Party’s law as to whether imposing an anti-dumping or countervailing duty would not be in the public interest. After considering the information referred to in paragraph 1, the Party’s authorities may consider whether the amount of the anti-dumping or countervailing duty to be imposed shall be the full margin of dumping or amount of subsidy or a lesser amount, in accordance with the Party’s law. Section 45 of the Special import Measures Act (SIMA) can be used to meet this obligation. It was used recently to limit dumping duties on Gypsum Board from the U.S. and to relieve the duties for the rebuilding of Fort McMurray. Don’t expect any credit for the relief also provided by the Gypsum Board public interest decision to the Koch Brothers owned Georgia Pacific, which mothballed its Canadian mills to dump from the USA. There is no parallel public interest provision in U.S. law. Public interest is referred to in the legislative and regulatory provisions relating to suspension agreements which have been used sparingly in the USA, i.e., sugar and lumber. The view in Washington has been that U.S. citizens’ access to protection against unfair trade should not be guided by political expediency or subject to diplomatic pressures. Secretary Ross’ tweaking Canada about reporting its international obligations puts him firmly in that camp. Indeed, even trade under the Auto Pact was not exempt from the provisions of the AD/CVD laws in the USA (nor in Canada). Suspension Agreements in the U.S., and Undertakings in Canada, are seldom used, but when they are, they require the support of affected domestic producers. Righteous indignation about this pre-emptive strike by Boeing supported by Wilbur Ross and his subsidy sleuths is justified. However, the condemned practices are not unique to the Americans. It would be prudent to examine the practices of the Canada Border Services Agency in similar situations. These could be thrown back at Bombardier’s defenders. At one time, not too long ago, Canada was very careful to avoid employing trade remedy practices it might need to challenge when the U.S. targeted important Canadian interests. In recent years, Canada has thrown caution to the wind and has mimicked and adopted U.S. practices. This may result in Canada losing the high ground in WTO disputes and being hoist on its own petard.